Perched at the top of National Memorial Cemetery of the Pacific or Punchbowl as it is known. Hawaii is the birthplace of surfing. The North Shore of Oahu is famous for the best waves in the world. Used as Five O headquarters. Actually the only royal palace in the US. Diamond Head Crater looms large over World Famous Waikiki Beach. 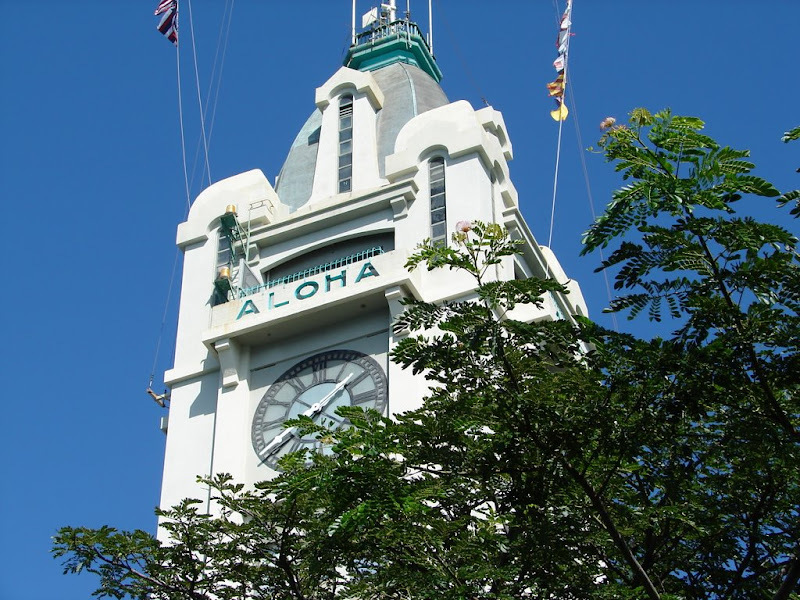 Overlooking Honolulu Harbor, Aloha Tower was the tallest tallest structure in Hawaii when it was completed in 1926. Jack Lord as Steve McGarrett stood atop this landmark hotel in the intro. (left-most building). 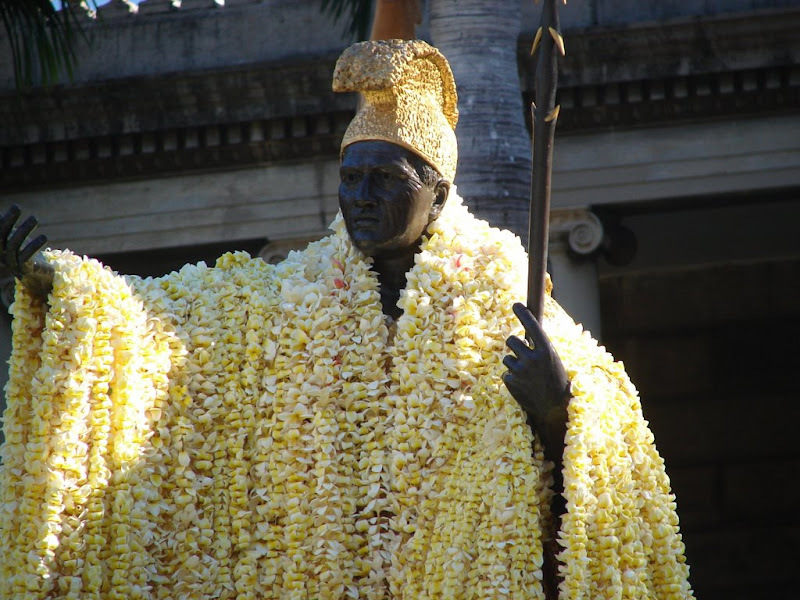 Hula dancers are what people think of when they thik of Hawaii. The outrigger canoe is a traditional Hawaiian means of ocean travel. 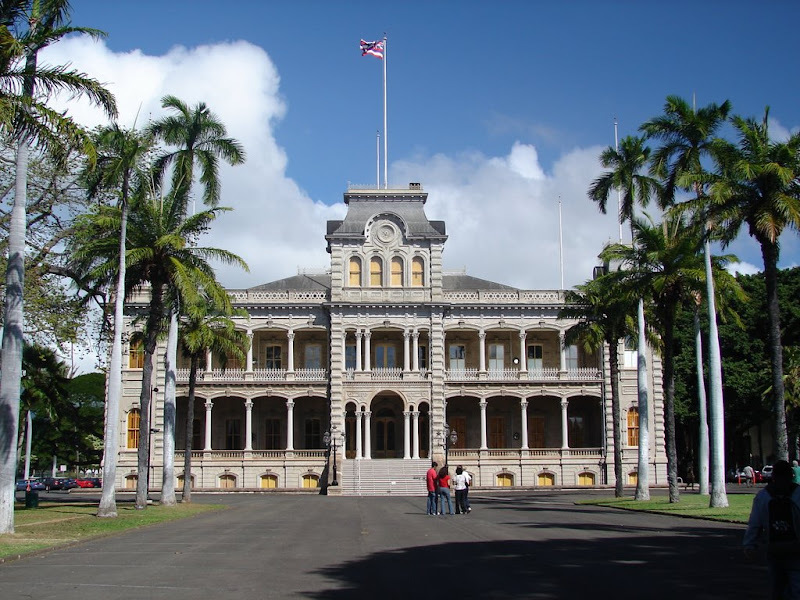 Located in downtown Honolulu just across the street from the Iolani Palace.